PSA insider: It's the Baseball Hall of Fame - PSA Style!!! • Ty Cobb – Collecting Baseball Cards and Autographs of "The Georgia Peach"
They say that lightning never strikes the same place twice. One lucky family, however, shatters that theory completely. 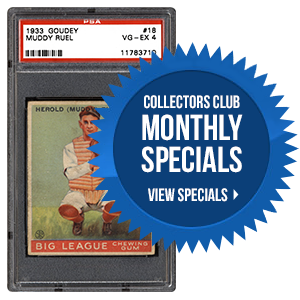 The people that made The Lucky 7 Find of T206 Ty Cobb with Cobb Back cards, one of the greatest baseball card finds in hobby history, has struck again. 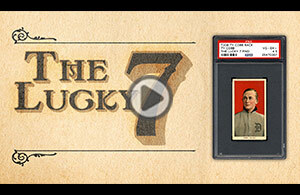 Lucky 7... here is your Legacy. 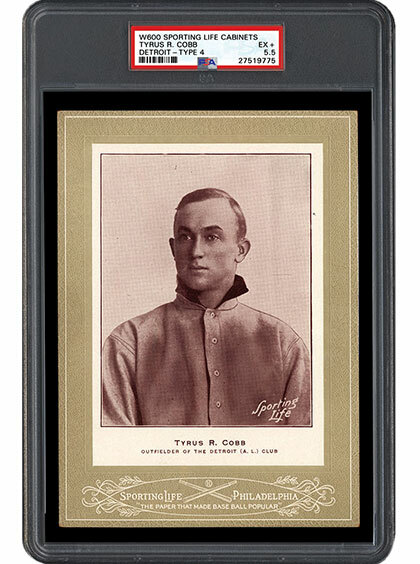 Ty Cobb – Collecting Baseball Cards and Autographs of "The Georgia Peach"
Ty Cobb made his major league debut 113 years ago. A polarizing figure, some folks liked Cobb, while others most certainly did not. Love him or hate him, there is no denying the mark he left on our national pastime. 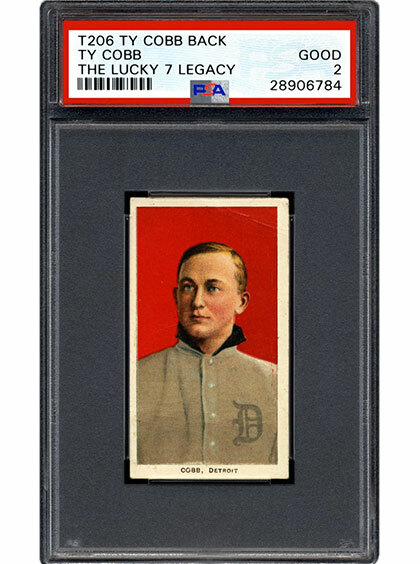 SMR takes a look at Ty Cobb’s influence on the hobby and what is available to collect of this Detroit dandy. When building a collection of the best baseball players in history, what could possibly represent such legends better than Hall of Fame plaque postcards? Simple and yet iconic, the cards alone define the greatness of each member. Signatures on these issues places them on a plateau all their own. Check out SMR’s review of the early years of these cards and the variety available to collectors. 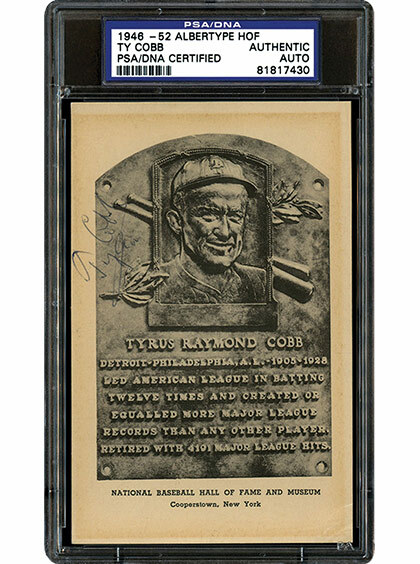 If money were no object, which Ty Cobb piece would you most like to add to your collection? We’ve made great progress on the checklist requests for company and team sets, and our new team member is now learning how to research and compile new player sets. We continue to process as many new slot requests that we can (we receive hundreds per week), daily. We are gearing up for the fast approaching awards season. Should you have any questions, please feel free to contact us at [email protected]. PSA/DNA has expanded their general/basic Autograph Grading service to include SSB’s. Previously, one could only submit under the full Autographed Baseball Grading service. Now, SSB’s can be submitted under the general/basic Autograph Gradingservice and only the autograph will receive a grade. Note that SSB’s submitted under the basic/general Autograph Grading, will only be permitted in the Any Medium sets. SSB’s submitted under the full Autographed Baseball Grading service will continue to be accepted in the Single-Signed Baseball sets. Note that effective 3/1/18, to participate in sets under the Autographs/PSA Cards category, your cards must be dual graded. Please click here for information on dual grading. If you are unsure whether cards for a particular set require dual grading, please email [email protected].